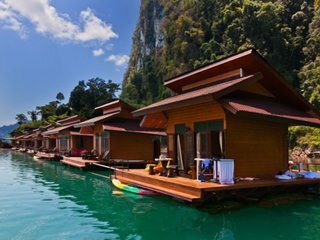 There are 14 different Floating Bungalows Khao Sok Lake. They each with their own unique charm. 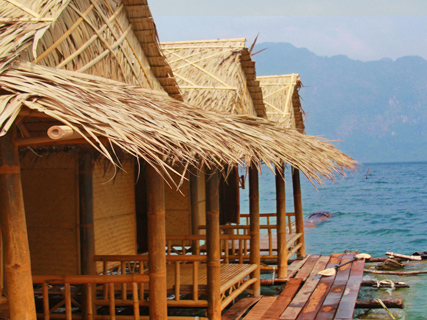 All of the Khao Sok National Park floating bungalows fall into one of 4 categories. 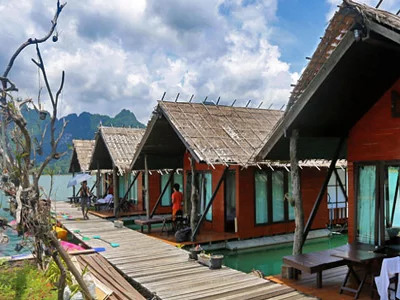 Known widely as Floating Bungalows, Khao Sok Lake, these authentic Thai raft houses are popular accommodations for world travelers visiting Khao Sok National Park. Serene and secluded, staying in a floating bungalow is a great way to commune with the abundance of nature surrounding this scenic area. The only way to experience the magic of Cheow Lan Lake is on a guided tour. Keep in mind that each of these locations is remote and fairly isolated and without a guide it is impossible to facilitate activities. Khao Sok Lake® is the only place you can get direct access and make an informed decision. Trying to save money? Have a look at our Group Tours. DISCLAIMER: All bookings are subject to availability. Conditions on Khao Sok Lake vary from week to week. Based in a commitment to quality, Khao Sok Lake® does not guarantee a specific raft house, but we will always place you in one of equal or greater quality.